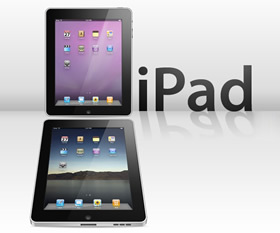 Rumors have it that the upcoming devices, the iPad 3 and iPhone 5 are going to feature the new wave of wireless connectivity: LTE. According to a report Apple’s CEO met with executives of Japanese Wireless Carrier named as NTT DoCoMo to talk about the release date of the devices. This is a great news for all the consumers who were disappointed by the lack of LTE support in the iPhone 4S. Several Android based phones featured the technology at the time of the iPhone 4S release. The smartphones which support the LTE have proven to have poor battery life and a bulky design. It is yet to be seen how Apple deals with this issue. Apple bypassed the LTE technology, waiting for the next year to add LTE capabilities to its upcoming devices because the evolving technology will make it cheaper and easier to incorporate LTE chips in the devices without compromising the premium slick design of the iPhone. This seems to be a very smooth move by Apple. Moreover LTE networks like Verizon and AT&T will be at the height of LTE roll out in the coming year. This entry was posted in iPad, iPhone and tagged 4g, apple, lte. Bookmark the permalink.